Hello Everyone! 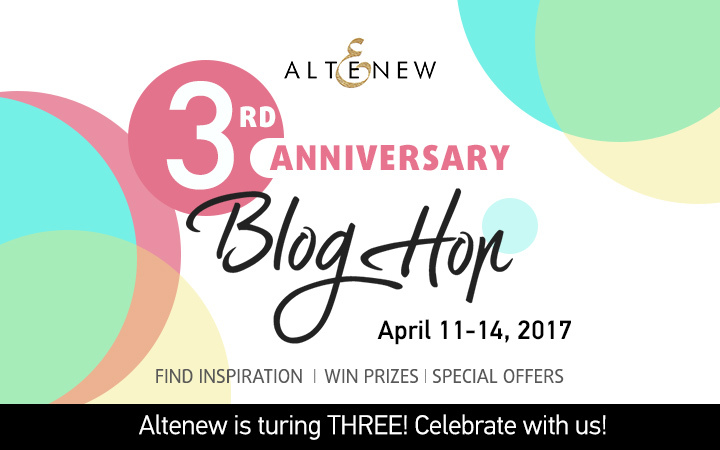 Today I’m very honoured to be participating in the Altenew 3rd Anniversary Blog Hop! I love seeing how this company has evolved over the years and I am beyond thrilled and deeply honoured that I can be a part of their amazing team! 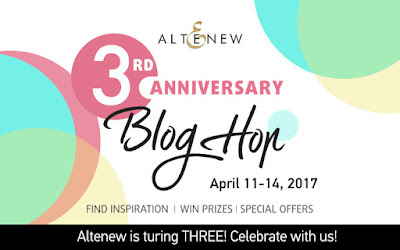 Congrats on 3 wonderful years, Altenew! You should have arrived here from Altenew blog if not head back overe there to begin the hop. First, I stamped outline images in light green to create a delicate background for my bold sentiment. Then, I die cut the letters out of white cardstock to create “friend” word and used the beautiful floral stamps to decorate it. The “hey there” stamp is from Sentiments & Quotes Stamp Set. That's it for me. Your next stop on the hop is Tracey McNeely! Love the subtle background you created. Love the subtle background and the colored flowers on the sentiment. The card you cased was my favorite of the 4 shown on the Altenew blog. Wow ..SO elegant and beautiful ! Beautiful card! I love the subtlety of the Friend die, but its still there to see. This is so bright and cheerful! I love this pretty technique! Just lovely. You have given some great ideas. Love the bold alphabet die set and how you decorated the letters! Oh I love the way you used the flowers on the alphabet like you did!! FABULOUS!! Such a fun idea! Beautiful card! I love the bold alphabet with floral! What a great idea! Those bold alphabet dies could personalize a card so beautifully! This is Beautiful! Great idea!! Yet again this is a totally stunning design. So classy and elegant. Gorgeous card and love this technique! Beautiful card. Love the stamping on the letters. Never thought of that. I love both the original and the copy! They are just beautiful, and really show off both the stamp and the dies! I love this idea! Makes me which I had big letter dies! Very pretty. An idea I will have to use!! Love this technique - so pretty. I just love this idea and layout! The flowers are just gorgeous and stand out so nicely with the background! Thanks for the wonderful Inspiration! Can't wait to try and make one of these tonight. I've never used my flower images for an overall background. Will have to give that a try. Thanks. So beautiful and so well planned and colored. Bravo! What a beautiful card! I haven't tried this technique and will have to try this! Absolutely gorgeous! I ❤️ how you did the sentiment and the floral background is stunning! TFS! This card is gorgeous. I love the subtle background and your coloring of the florals. Thank you for sharing! Simplicity with drama - beautiful! the rose are so distinc and beautiful on the letters!!! Oh my goodness Aga, this may be simple to you but it is simply gorgeous to me! Stunning card - just gorgeous! Great card! Love the coloring on the large letters! Gorgeous!! I love how you did this card! What a cool technique! Love this card! Yep! Bold letters on a subtle background really works!! Nice background. Love the idea of die cutting your stamped image. I love word dies! Can't have too many! Love how you have used one as the design focal point! Wow! Beautiful card, love the Friend die cut. I really love you background. Beautiful card, I love this stamp! Thank you for sharing your special card...pretty! This is stunning! Love the subtle background and the bright floral "friend". It's so fresh and classic! Thanks so much for sharing! Very unique and beautiful card! Love the font on the friend. Very sleek. What a beautiful card. Great idea to case. Thanks for the inspiration! Lovely delicate background to offset the bold nature of the sentiment! Gorgeous background - beautiful card. I like the idea of using the stamps to decorate the letters. That is a really cool look - very inspiring. Thanks for sharing it! A beautiful all-occasion card. A wonderful reason to stamp your die-cut alphabet! Both versions are awesome, Aga! Love this! What a great design and your card is beautiful! Love your card! So pretty. A neat way to make a sentiment be a bold statement. Love it. A beautiful card and what a great way to use the dies to create your neat design. I love this idea! Awesome! Thanks for sharing! Hi Aga! The card you CASEd from yourself is one of my all time favorities! What a cool technique. Thanks for pointing out the die set you used! Love all of your cards! Great design work. Thanks for sharing your technique. I love this card. I love the die cut letters with the florals. I have to make one of these. way the sentiment was done. Wow!!! I just LOVE your card!!! What an Awesome way to highlight the letters!!! Your card is such a beauty! Great idea, love the florals on the letters. The background is perfect for the bold letters. just got these wonderful alpha dies and definitely am going to cas(e) this beauty! This is so innovative! Love the final look! Such a fun way to use the beautiful floral stamps & those fun alpha dies. Thanks! 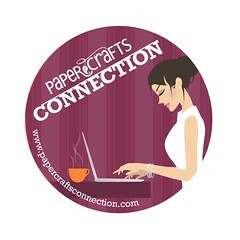 Thank you for sharing such an "out of the box" design - I now have a new way to use my stamps!!!! Love the fresh ideas! I love the subtlety of the background with the pop of colored flowers in the letters. Great card. Until now, I haven't been a fan of block letters. Your technique of placing these decorated letters on the subtle background is beautifully done. Wow. Really thought outside of box! I love it. Beautiful card! I love the soft background. The letters look very pretty with the stamping. Totally cool! I am filing this one in "card ideas!" Love it! Thank you. Beautiful card and such a fun design. Love the color pop and the fun background! You created a very pretty card! So pretty. Love the highlight coloring you did. Your cards are always so elegant. Love them. I just love these bold letter dies. Beautiful card. Thank you all for a great hop. Everything about this card is amazing! I so need to get that vold alpha die set, I love how it looks when you make a stamped title with it! The bold letters with the coloured flowers really makes this card pop! Such as cool looking card! Love the technique. Love the background and the colorful word together. Great card. This card is so creative! Love this design! Another lovely card and a clever idea! Love the beautiful stamping and coloring on the letters to make them stand out! I love that you used the smaller images only on your card. I've been over using the large focal flowers and the smaller ones are just as pretty and deserve to be featured too! Thanks for the inspiration. Your cards are always some of my favorites Aga, your style just speaks to me. Beautiful card and wonderful idea. 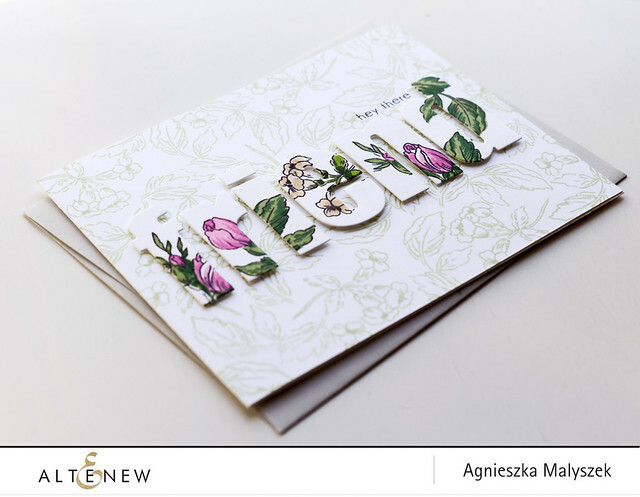 I loved the"hello" card you showed on the altenew blog. This is equally amazing. I would have thought you stamped and colored first and then die cut. Was surprised to find it was the opposite. Must CASE this! This is such an AMAZING technique. Your friend card is so beautiful! I love the flowers on the word friend. I also love the dimension on the card. I am 85 yrs. old and am trying my hand at making cards. I LOVE TO WATERCOLOR and love your style with making cards. I hope to share one of my cards sometime soon although it takes me a while to get started. 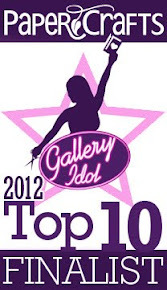 Thanks for sharing your God given talent with the crafting world. You really do inspire me to keep trying. Gorgeous card!! Love the stamped background! Love this style of decorating letters! Beautifully done! Lovely card, Aga. I particularly like what you did with the "Friend" stamped/colored lettering. Using the light green stamping as a background sets this off beautifully. Thanks for sharing it. Sweet love the pop of color!! The Bold Alphabet was one of the smartest purchases I made. I just love it and how versatile it is! Wow stunning design, so unique. Love the big letters and the way you made it so soft. Thank you for your time, talent and willingness to share your ideas. Gorgeous card. Love the background! Great job. I love how elegant your card looks, fabulous idea!!! Your floral card is lovely. So pretty! Love to the bits. The background is amazing, plus the wonderful flowers on the letters. Just love this. Thanks for sharing in the celebration. Absolutely gorgeous! Love the subtle background and flowers on the sentiment! So fresh and modern, love it!! I am in love with this card!!! Such a beautiful technique! Very pretty cad!! This format style has lots of possibilities --loving all the styles! Great card for a friend! I like how the background with the word friend colored so it pops. It's a lovely and sweet card, love it. Simple you say but ohhhh, so beautiful! Love the bold word die against the delicate background. Beautiful, as usual. Such a stunning card!! I love it! Fabulous design with the stamped die cut! Love this design! Pinning it! Such a beautiful and creative card!!! Love it!! I love the color combo you've used on this card with that neutral background - so very pretty! Happy Anniversary, Altenew! I'm definitely going to try. To be honest I thought you had stamped and colored first then cut. Thanks!! You always amaze me with those Alpha Dies Aga! Very pretty and a neat way to use the alpha dies. Your card is amazing. It would never occur to me to use a bold word in that way. Must get those Alpha Dies. Love your soft green background. Very pretty card! Love your delicate background, it makes your beautifully colored 'friend' pop. It is a beautiful card! Thank you for sharing it with us. Aga your card is very pretty, love the background and pop of color! Thanks for the inspiration! I really like how you used the outline images to create a back round. Wow Wow so very pretty! What a unique and beautiful design! Beautiful! The floral letters are awesome! Love the background and the die cut letters! Lovely card. Thank you for sharing! Very pretty! Creative, I love the look of the colored flowers on the diecut against the outline image background. A subtle yet elegant pop! Love the way your background provides the perfect place for 'friends' with colored flowers to be shown off so beautifully. Thank you for sharing. Stamping the flowers on your die cut sentiment was a fabulous idea. I will have to give this a go. Very pretty card. Love this die set, it is so versatile. Happy anniversary Altenew. Beautiful card. Your flowers have such a vintage, delicate look to them. Remind me of some I've seen on fine china. I love the colors and images you used all in a simple message of "friend." Great idea! Ingenious, & I'd have never tho't of this. Beautiful card! The bold alphabet dies are a real eye catcher. This is just beautiful. So clean but so colorful and bold at the same time. Love this card.